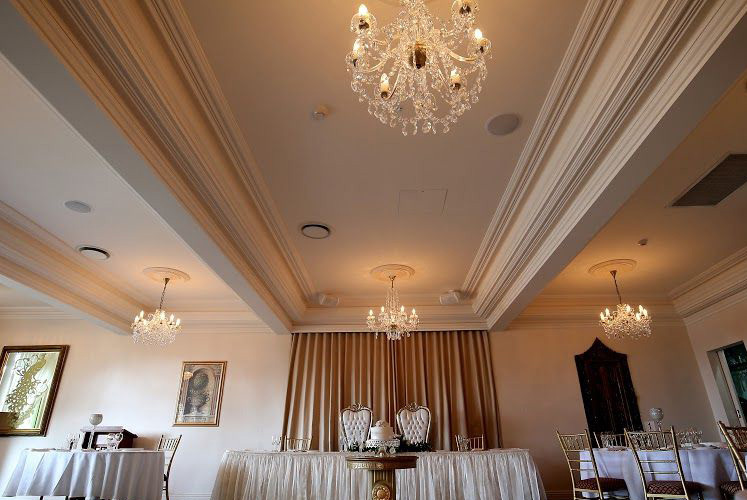 The results and finish using the double cornice technique were absolutely spectacular and the workmanship and end results were a great endorsement of Bailey Interiors and their quality team of professionals. 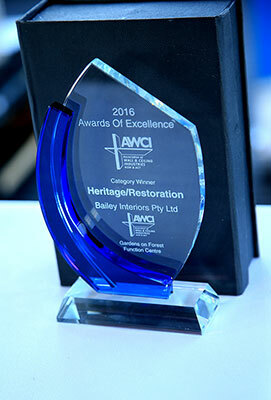 2015 has been an exceptional year again with the Association of Wall & Ceiling Industries (NSW & ACT) (AWCI) honouring us with 3 awards early in the year – Category Winners in both Heritage/Restoration and Commercial categories plus Overall Winner. 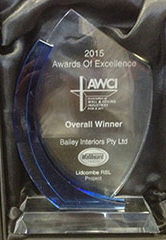 We were then excited to receive another award at the National AWCI (Australia & New Zealand) Awards of Excellence Gold Coast Conference in October 2015 - winning the Non-Residential category for our manufacturing and installation of a very special ceiling in the Lidcombe RSL. The Awards are an important recognition of the skills that our staff employ every day but what does that mean to you, our Customers? It means that you are working with the highest quality products in this very demanding industry. 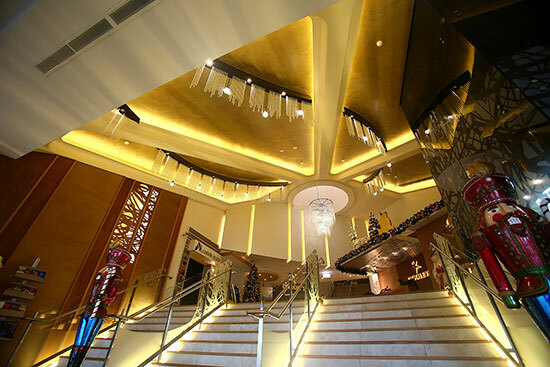 Bailey Interiors is an innovative company dedicated to giving you the best. Products, both from our vast range of decorative items and those that are individually crafted for your Special Projects are of such a high standard that not only are you confident of the finished work but more importantly your clients are excited. The best form of advertising is a “happy client”. 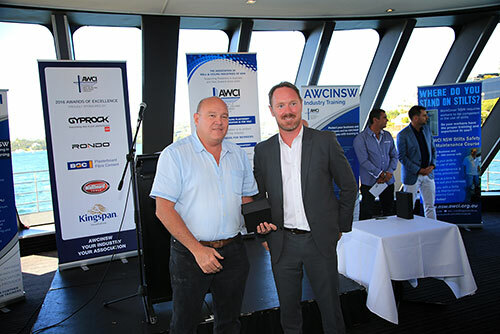 On Saturday 21 March 2015 the AWCI (Association of Wall & Ceiling Industries NSW & ACT) presented the Annual Awards for Excellence. 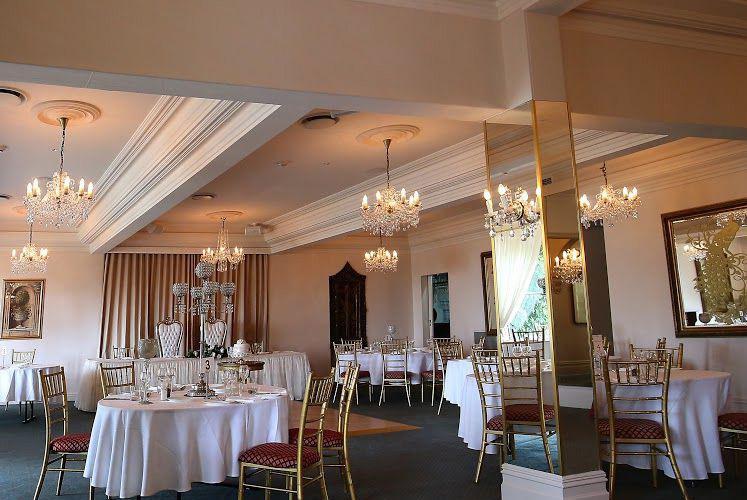 The venue was exceptional, cruising Sydney Harbour throughout the afternoon of speeches, awards and fine dining on a double decked ferry with full glass windows giving magnificent views from every part of the boat. Members of the Association were invited to submit their very best projects that they had done over the past year. An extremely high standard was seen in the projects submitted by the state’s premier operators presenting the judges with some difficult decisions. 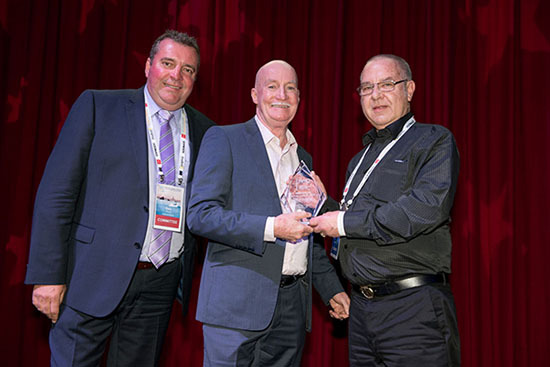 On Saturday, adding to the many awards that Bailey Interiors has received, we won two of the categories and then scooped the awards with the prize for the overall winner. 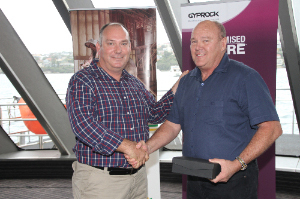 Congratulations to Roger Bailey and all our staff – the combined efforts of modellers, casters, drivers, contractors and the office have resulted in these awards and in many other outstanding projects. We honour them for their skills and dedication.